In January, 1957, Eric Arthur, of the School of Architecture, University of Toronto, was invited by City Council to be the professional advisor to the process of selecting a design. By midsummer, the Council had approved his recommendations that there be a competition, and an international one at that. The detailed Conditions of the Competition were issued later that year, as were the Supplementary Questions and Answers. By the April 18, 1958 deadline, hundreds of drawings and models had been submitted. They were assembled at the Horticultural Building, Exhibition Place, for the judges to begin their whirlwind evaluation. The judges, all architects and planners, were Professor Arthur, as Chairman of the Jury, Gordon Stephenson (Toronto), Ned Pratt (Vancouver), Ernesto Rogers (Milan), Eero Saarinen (Detroit) and Sir William Holford (London, England). They settled on eight finalists and ultimately chose Revell’s iconic design. Under the terms of the competition, all drawings and models were returned to the entrants. Before that happened, Professor Arthur arranged for many of the architectural drawings submitted to be microfilmed and donated that film to the Toronto Public Library. 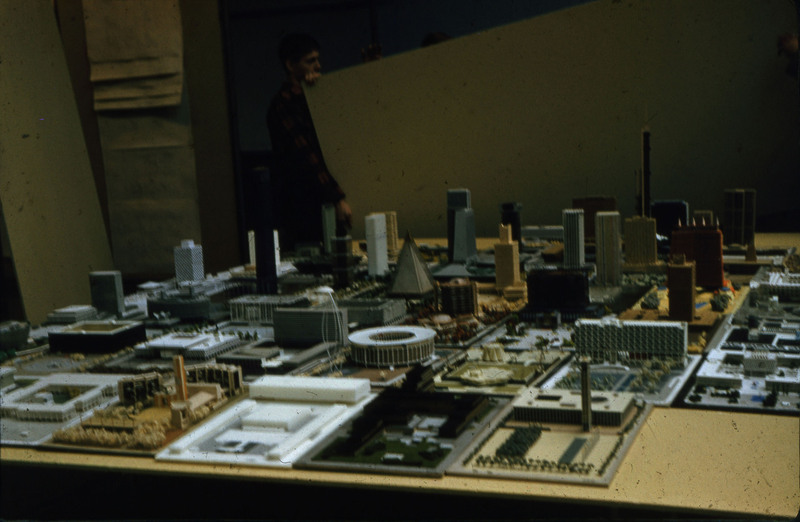 The Library Board then directed its staff photographer, Wallace Bonner, to photograph over 300 of the corresponding architectural models. Some years later, Arthur donated additional materials to the Library. Today this record, including microfilmed drawings, photographic models, documents and archival papers is preserved in the Humanities and Social Sciences Department and the Marilyn and Charles Baillie Special Collections Centre at the Toronto Reference Library. 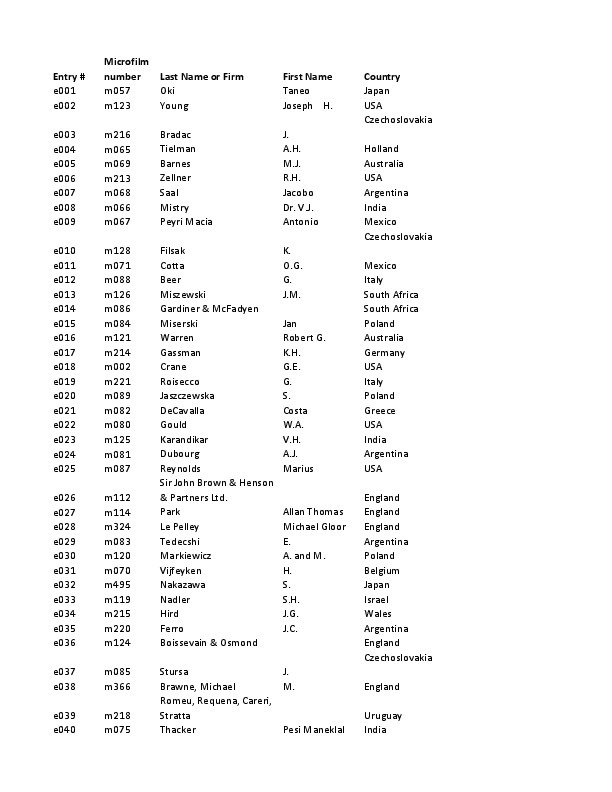 It constitutes a unique catalogue of ideas on mid-twentieth century Modernist architecture from a wide range of practitioners in many countries. 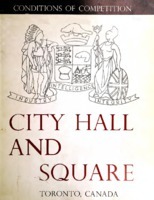 This complete list of City Hall entrants was compiled from the original typescript for the competition, additional notes from the papers of Eric Arthur, and supplementary research by project staff. Click on the icon on the left to download the complete PDF. If you would like to manipulate this data, you can download a comma-separated value (CSV) file of the list of competitors.